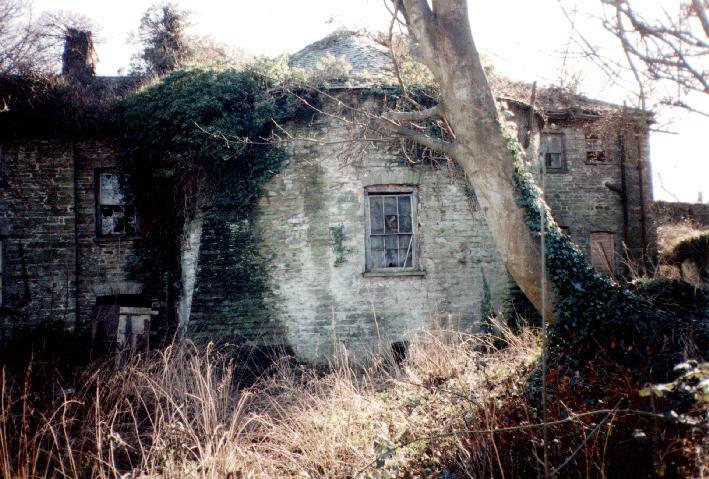 Because of the "peculiar" relationship between the former owner of Cardigan and the public, few people had ever seen the interior of Cardigan Castle. 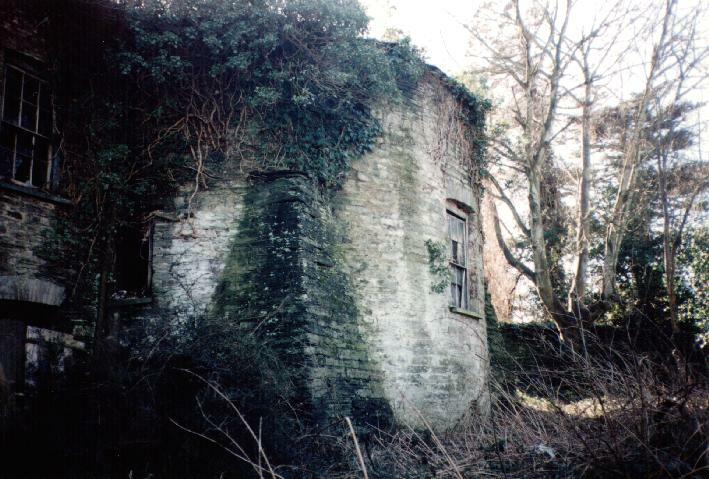 Fortunately, the Castles of Wales web site joined forces with Mr. Paul Adams, who was given permission to photograph the interior of Cardigan Castle in 1991. Mr Adams has graciously provided us with photographs from his rare expedition. 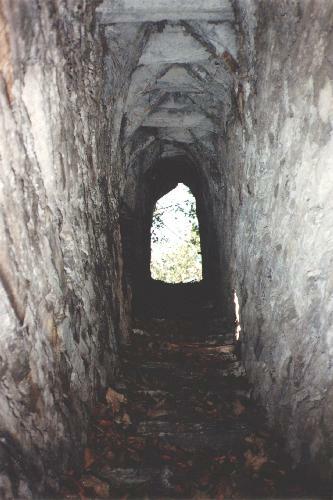 An intra-mural stairway descending from the courtyard into the bowels of the east tower. The great tower viewed across the dry moat from the north. The angled buttress of the great tower viewed from the east. 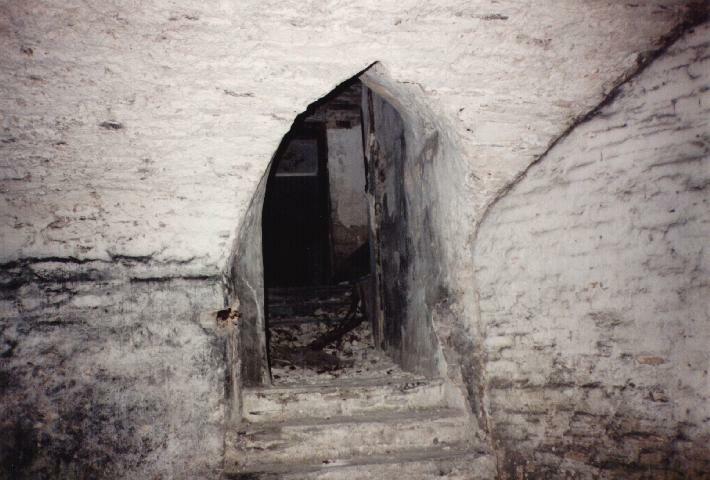 Great tower basement with a blocked loop hole, looking west. The semi-circular front face of the tower is to the right. 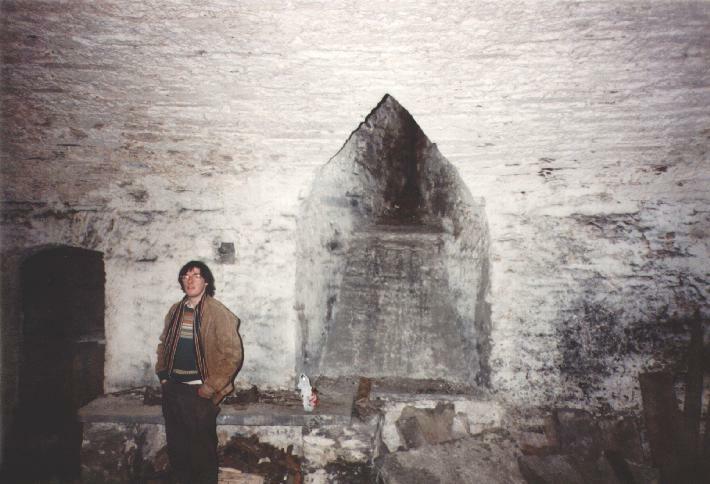 The interior of the great tower basement looking east. A description of the first stone castle at Cardigan. A tour of the second stone castle at Cardigan..